The Charlevoix Inn & Suites uses all sorts of websites to help you find our hotel for your travels to Charlevoix, and we want you to know that we will always guarantee the best rate when you book directly through our website or through our reservation team members. 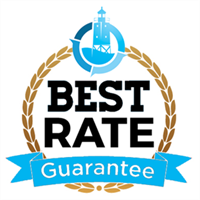 If you feel you have found a better rate on another website, don’t hesitate to call us directly at (888) 252-2505, so we can match or beat the rate you have found. 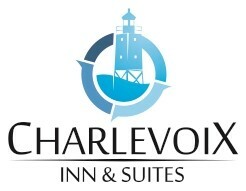 This is our guarantee that working directly with us is always the best way to reserve your stay in Charlevoix. You better believe it's back! When you stay one night between October 15 through April 19, 2018, you'll get 50% off your second night. If you stay a third night, you'll get 50% off your fourth night. This awesome deal helps you see more of our beautiful area while also allowing you to get a bit more R&R that you deserve. Reserve today by calling (888) 252-2505 or by clicking here. Charlevoix gets better with each additional day taken to enjoy the gorgeous waters and landscapes it encompasses. That's why you can enjoy great discounts when you stay longer at the Charlevoix Inn & Suites. When you stay three nights, save 15% off your stay. Stay four nights and save 20% off. Stay five nights, and you save 25% off. Now is the time to take in everything that Charlevoix has to offer, and we're here to help you take the time you need to enjoy it! Call (888) 252-2505 or visit here today to reserve!